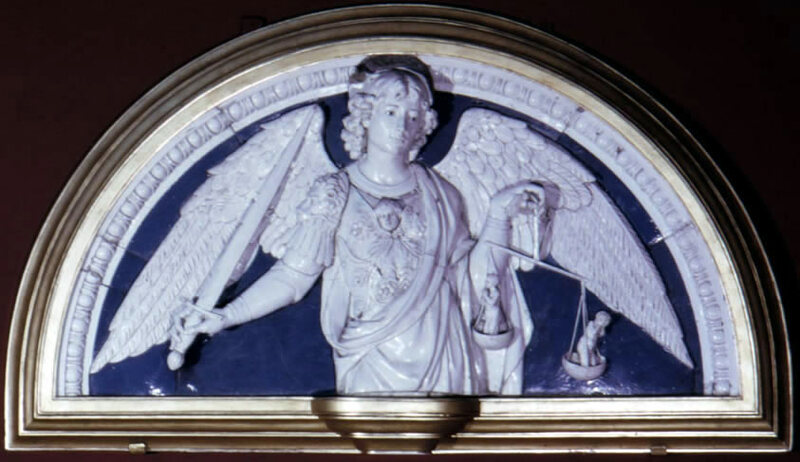 A white and blue glazed relief of the archangel Michael by Andrea della Robbia somehow came off its perch above a doorway in the Metropolitan Museum of Art Monday night and crashed to the floor where a security guard found it the next morning. It’s apparently restorable because it landed on its back, but it has definitely suffered major damage. The face of the archangel is one intact piece, at least, which is important for the restoration to look good. The museum said in a statement that “while the Metropolitan routinely and thoroughly inspects its pedestals and wall mounts to reconfirm their structural integrity, it will initiate a reinvigorated museumwide examination as expeditiously as possible in the days that follow this unfortunate accident.” The Met was also reviewing security video to see if it revealed any information about what occurred. The museum has closed the room in which fell to ensure every last possible chip that might have broken off is found and sent to the conservation area for restoration.